In the earlier days, shoe repair was quite common and was done everywhere. The boat shoes became available at cheaper costs that people replaced the old with new. However, quality shoes are suitable for repairing and discarding it may certainly be a faraway choice. But, as your shoes start becoming very comfortable next to your skin, you observe a split on the sole or the side, or some heel begins to separate. Taking your good shoes to a roadside or some small time cobbler may restore the shoes as a temporary work, but for quality work your visiting us at Brooklyn, Bay Ridge, in New York City will ensure shoe sole protection whether it in old or new shoes sole protection. We have been working and offering services to men, children’s and women’s shoes to ensure they are very comfortable. With our family-owned and operated shoe shop, we ascertain keeping your boots and shoes like new. 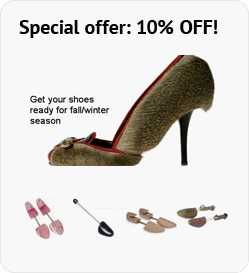 Shoe repair in NYC from us is an intelligent solution to simple shoe problems. Whether you own old boots or classy dress shoes, we provide highest quality products that are incomparable. We repair your dress shoes, Hiking boots, boots, dance shoes, sports shoes and several other leather shoes. Our expertise in fitting shoe lifts and orthotics make us unique and outstanding in repairing full sole leather, half sole rubber and half sole leather. A sole starting to separate from the shoes gets messy easily and so repairing it becomes inevitable in the aim of new shoes sole protection. Gluing the boots sole protection or shoe sole protection may appear to be simple, but may run into problems. Once dry they get brittle and on walking they come apart again. Here, it is we who can help you in offering the full sole rubber protection. We have experts to look at your work instantly and to make use of commercial grade superglues that are without solvents and will dry clear. We offer great emergency fix that you are good enough to go. We understand the perfect needs and serve them better. We also use quality products and this makes our services the best be it a leather shoe soles protection or red soles protection. We take care of our customer’s contentment as a satisfied customer is sure to avail our services. We remain honest and this has earned us reputation and a prosperous goodwill. You can bank on our work and get the desired support as goodwill in taking care of your precious shoes. The bottomline is, we offer superior quality shoe repair in NYC that is hard to find in these faster times. Thus, if you have been struggling to get your accessories repaired, we are here to assist you with our myriad mending jobs that include shoe repair, heels repair, shoe shine, stretch shoes and boots, belt adjustment and fixing, leather jacket repair, bag repair, men shoe repair, women shoe repair, luggage repair, dye leather and cut heels. Be it Brooklyn, Bay Ridge, or NYC, shoe repair is never again going to be an irksome task for you.